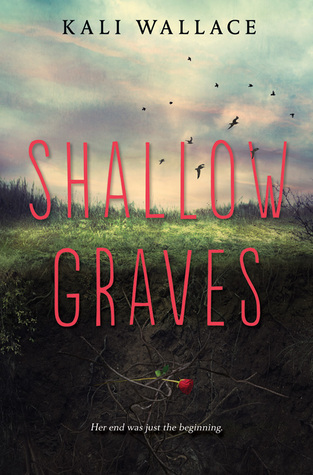 From the award-winning author of In the Shadow of Blackbirds comes a stunning new novel—a masterfully crafted story of love, loss, and second chances. Set during the fear and panic of the Great Influenza of 1918, The Uninvited is part gothic ghost-story, part psychological thriller, perfect for those who loved The Thirteenth Tale by Diane Setterfield or The Vanishing by Wendy Webb. Twenty-five year old Ivy Rowan rises from her bed after being struck by the flu, only to discover the world has been torn apart in just a few short days. But Ivy’s life-long gift—or curse—remains. For she sees the uninvited ones—ghosts of loved ones who appear to her, unasked, unwelcomed, for they always herald impending death. On that October evening in 1918 she sees the spirit of her grandmother, rocking in her mother’s chair. An hour later, she learns her younger brother and father have killed a young German out of retaliation for the death of Ivy’s older brother Billy in the Great War. Horrified, she leaves home, to discover the flu has caused utter panic and the rules governing society have broken down. Ivy is drawn into this new world of jazz, passion, and freedom, where people live for the day, because they could be stricken by nightfall. But as her ‘uninvited guests’ begin to appear to her more often, she knows her life will be torn apart once more, but Ivy has no inkling of the other-worldly revelations about to unfold. I have been quite interested in Cat Winters ever since I have heard a few of my little blue birds signing her praises. I saw that this was a ghost story set around the turn of the century and just knew it would be my kind of book. Thank you to Cat Winters for proving my theory correct. This story isn't only about ghost, which Ivy Rowan and her mother are able to see before the passing of a loved one. It is also about some serious prejudice during World War 1 and the Spanish Influenza. I have a deep deep love for history but I am sad to admit I didn't quite know much else besides the bare bones about either of these topics. Mrs. Winters was able to breath and amazing amount of life into both subjects by creating a tale of love, loss, and finding true freedom no matter where you are or what you have done. 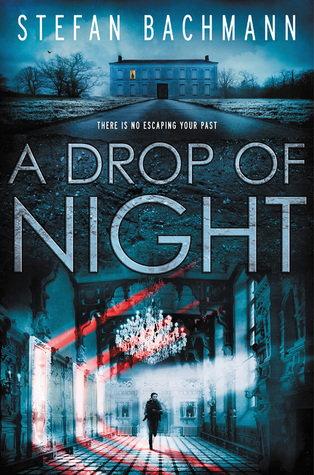 I thought this was going to be a ghost story but it turned out to be so much more than that. 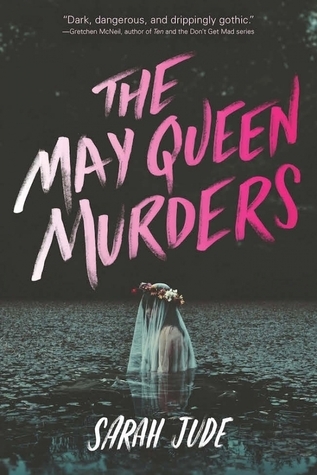 The plot was steeped in mystery right from the start and laid out in an intriguing manner to the very end. The relationship that Ivy forms with German resident Daniel is so fascinating to see. Even thought her father and brother uprooted this young man's life entirely. Ivy still has it in her heart to try to make amends and slowly Daniel lets her in. All the while this is taking place with a back drop of severe sickness and death. The 1918 Spanish Influenza wiped out 675,000 americans. Whenever reading something Historical that I don't know much about I tend to google it and let me tell you floored is an understatement. I was stunned at the staggering figures not only in America but world wide. Over 1/5 of the worlds population was infected. Twenty to Forty MILLION people lost their lives during 1918-1919. These folks died trying to clear their airways of red tinged froth that sometimes gushed from their mouth and noses. The worst part was the age group that was the hardest hit was the 15-34 year olds. All of this death was needless to say a perfect setting for a girl whom is able to see harbinger spirits, spirits whom predict the death of someone nearby. There is so many twists and turns that one is sure to be kept on their toes. 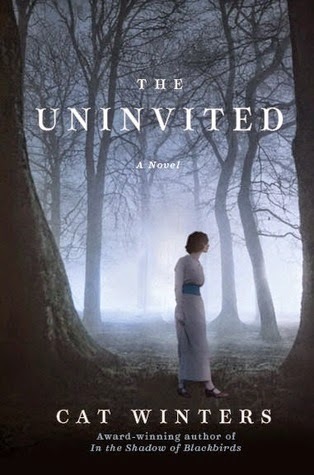 If you are a historical fiction fan or a fan of a good old ghost story this brilliant yet haunting tale is for you. I love Melissa Marr. She is by far one of my favorite authors and I know every time I pick up one of her books I will be in love with it. Made for You is another great addition to her growing line up and I am so so glad I got the chance to read this one. Made for You is creepy and I mean CREEPY! I was on the edge of my seat the entire time while I read this and man was it amazing! We have Eva who is just trying to get through high school without stepping on any Southern toes and her group of friends who are too wrapped up in the Southern ways. Throughout the story we learn that certain people are acceptable to date while others are not because of their status in society. This plays a part in several places throughout the story and sets up the stage for our stalker. This stalker really puts the S in stalker. I thought Marr did an amazing job at showing just how off their rocker they really were. Sometimes I find it hard to believe backstories, but this one was just crazy and I could really see the truth in it. Especially with certain current events taking place these days. I won't say more because I don't want to give anything away, but I can guarantee if you read this you will see what I mean. The only part that threw me was the death vision stuff. Every time that part would come up I felt like it just didn't fit. I kept thinking why is this in here! The story doesn't need it! But I stand corrected. Marr uses this storyline beautifully and by the end I understood why Eva needed these death visions. I am curious to know if there will be a sequel since Eva does have these abilities and I can definitely see a potential for more stories. One more thing I have to talk about is the whole parental role. Again Melissa Marr is amazing and finally shows what parents are for. Were Eva's parents there for her in the beginning, no. 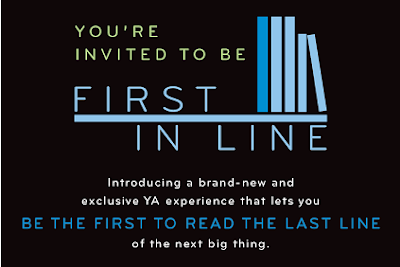 But they more than made up for that and it shows readers the YA can have parents in them. I have had so many problems with this in the past and I know why parents are usually left out, but it just bothers me. Marr does such a great job bringing Eva's parents into the story, but she still kept Eva strong and independent. Loved loved loved this. Do I want parents in every book no not at all, but they should have a place in more than they do and this book is a great example of how they can be woven in. 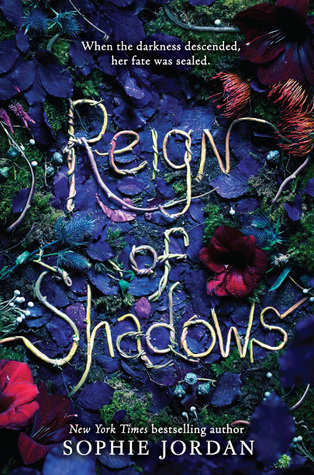 I think this is my first official stalker YA book that I have loved and I just want more! 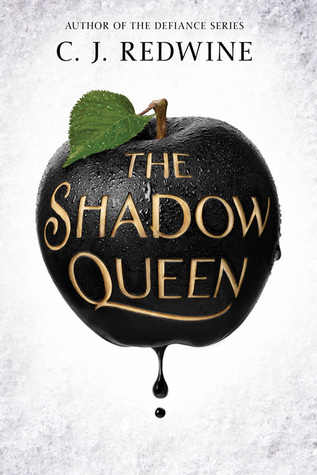 The whole story fit to me and even though I was super shocked at who the villain turned out to be I still think it was brilliant! Marr did a wonderful job setting up her thriller to be believeable and it was definitely a job well done! Our recap for the past two weeks! 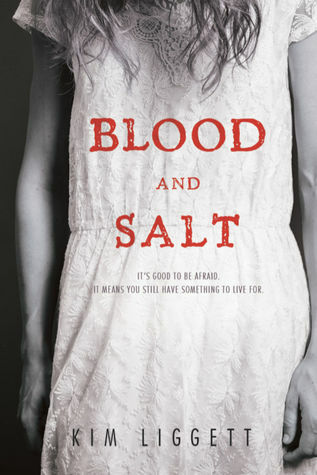 This week I also want to share a creeptastic book trailer from one of my most anticipated reads of the fall Blood and Salt by Kim Liggett!! Check it out HERE. The amazing people at Penguin are also hosting this giveaway that I just have to share!! So I'm sure most of you know Harper Christmas morninged all over Edelweiss this week and well we just couldn't resist all the awesome that was available! Our StS this week and last week is dominated by the amazing Harper and a few other publishers that we love to pieces. 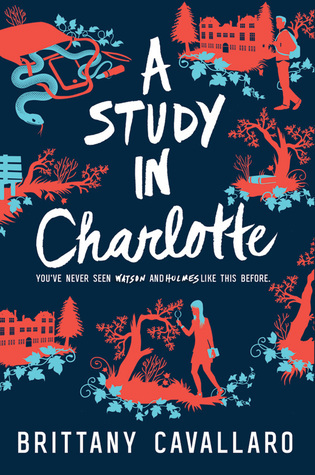 As a fan of Smith's previous contemporaries, I was super excited about the prospect of reading her upcoming release Hello, Goodbye, and Everything in Between in advance. I am happy to say that the novel ended up being exactly what I expected it to be and much more. Hello, Goodbye and Everything in Between follows Clare and Aidan the night before they are forced to say goodbye to their friends, their hometown and most importantly, each other. They have graduated high school and are about to travel to different sides of the country, Clare to New Hampshire and Aidan to California, and it feels to them like their two year relationship is suddenly running out of time. Over 12 hours, they drive around the town visiting places that hold an importance to them and try to figure out an answer to the question of whether they should break up or stay together in a long-distance relationship. 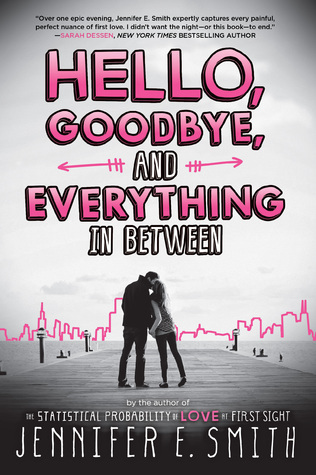 Hello, Goodbye, and Everything in Between includes every bit of the cuteness I expected, but also delves into deeper issues of family, friendships and the struggles one has with determining her future. I was quite surprised actually how "serious" this novel was in comparison to the other contemporaries I have read by Smith. 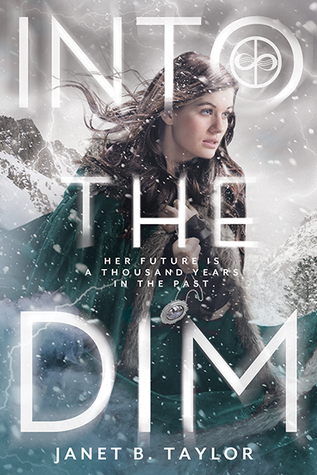 I loved the way the novel is narrated and the differences Clare and Aidan have in regards to their views of the future. Clare's very practical and logical - she is a list-maker, someone who is known for making the "right" decision. Aidan is more romantic and tends to "go with the flow". Clare is sure they should break up and begin college with a clean slate. Aidan thinks that they can make it long-distance. As the night goes on, they both start to make new realizations about their situation. What I found special about this book is the fact that rather than following characters who fall in love, we follow characters who ARE in love and who desperately try to find a solution not to be in love or at least not to get hurt when they are separated. Within the 12 hours the novel follows we learn how they met, how they fell in love. Right from the bat it feels like these characters are so good for each other and how their personalities compliment each other well. I loved the fact that Smith not only focuses on the romance but also on the problems Aidan has at home and the problems Clare has with trying to figure out what to do with her life. There's also a really good friendship narrative present in the novel and I am definitely hoping that Smith writes some sort of companion novel about Clare and Aidan's friends Scotty and Stella! Hello, Goodbye, and Everything in Between is entertaining, romantic and occasionally very funny. 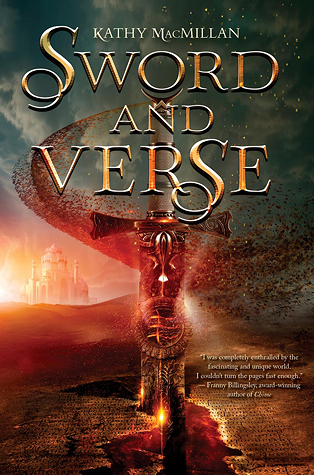 Smith writes well and her characters are likable and very real. The struggle the characters face while planning their futures feels very real and honest and something that I was definitely able to relate with. If you have liked Smith's previous contemporaries, I am 100% sure you will enjoy this one! 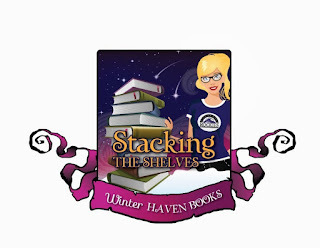 Today on WinterHaven Books we have the amazing Josephine Angelini with us again!! I'm still squeeing about this by the way! She is stopping by to answer a few of my questions so take a look! 1. WOW! I mean WOWWW! Josephine I am completely blown away by Firewalker! Did you have any idea how much of a punch this sequel would have? Thank you so much for saying that! I really went for it with this book and tried to make it as unexpected as possible. 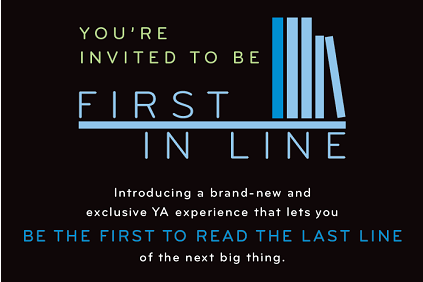 I think that YA readers have grown so sophisticated that they are looking for something new in terms of storyline. I did my best to really reach out with my plotting and find things that made sense for my characters but that didn’t have the same old same old feel. I tried to go for as much emotional punch as possible. It’s fantastic that you had the response you did. Makes me very happy. 2. I have to give you major credit because I hated Tristan in the first one and you made me love him in this one! I didn't think that was possible! Was Tristan's character hard to write? He was hard to write because so many of my beta readers had certain expectations for Tristan. I think everyone saw them as being destined to be together because they grew up together, but that’s not how I saw it. The first person you fall for is rarely the person you end up with. But it was strange for me to see how many people were ticked off by that. I never saw Tristan as a good choice for Lily, although is he so entertaining! 3. How did you come up with the idea of the Woven? They are beyond creepy by the way!! The Woven were an idea that transplanted from another book that I never finished and that will probably never see the light of day. They are something that scares me, so I had to use them somehow. Just a tip for aspiring writers—never throw anything away. You may get half way through a book and realize that the story isn’t going anywhere, but that doesn’t mean that elements of that book can’t be used later. The Woven were that for me. 4. Who is your favorite to write Lily or Lillian? 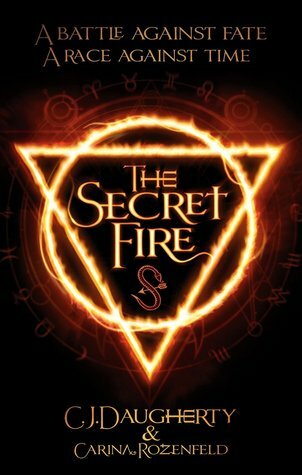 In Trial by Fire it was Lily, in Firewalker it was Lillian, and in the last book it’s Lily again. Aw, thanks! I hadn’t thought of a spin off, but the end of the third book definitely leaves opportunities for other books written in this world. I haven’t gotten as far as to think up a specific plot yet, but I won’t say no if there’s a demand for it. 6. Are you working on anything at the moment? If so can you share any details? 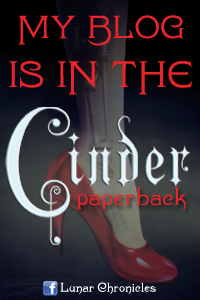 I’ve just finished the third book and I’m going into edits for it soon. Right now I’m just focusing on spending as much time with my family as I can before I go on tour. Thank you so much for the interview, Crystal! This honestly was one of my favorite interviews ever! I love love love Josephine's answers and now I want Traitor's Pyre even more!! I simply CAN.NOT.WAIT!!! Josephine you are amazing! Thank you so so much for stopping by! The amazing people at Macmillan have graciously offered to send one lucky readers their very own FC of Firewalker! To enter just fill out the form below! I've read many sequels before and while not all of them worked some did and managed to stay out of that dreaded "filler" category. 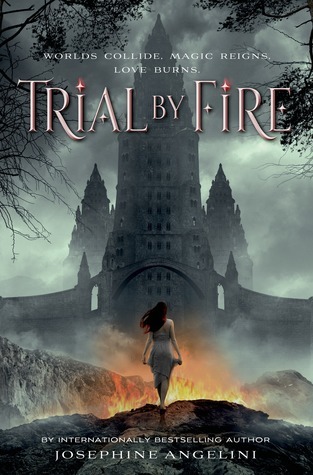 I was a little worried about Firewalker because I adored Trial by Fire and I didn't want the sequel to disappoint. 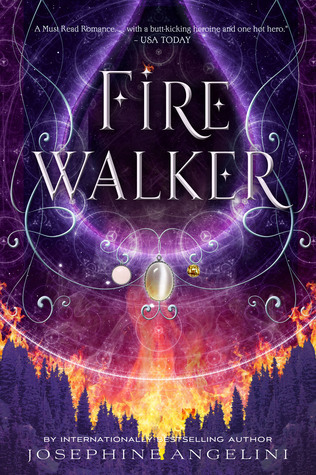 I needn't have worried because Firewalker is the best sequel I have EVER read and I am not saying that lightly. I finished this last night and I am still squeeing and dying over what happened! 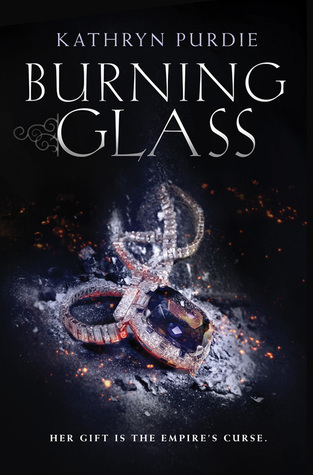 The story takes off right where Trial by Fire ended with Lily and Rowan world jumping back to her world and time. This is where I thought the story would fall off and be filter. I was so so wrong! The story not only continues to move it does so rapidly and does not slow down the entire book. I loved all the twists and turns that were thrown out and OH MY GAWD there is a huge bomb that had me on the edge of my seat! This new twist could mean everything for Lillians world and I cannot wait to see what happens!! Lily has really grown to be one of if not my favorite female character. She is strong and does what she has to do to save her people. I respect her decisions and definitely rooted for her throughout the book. 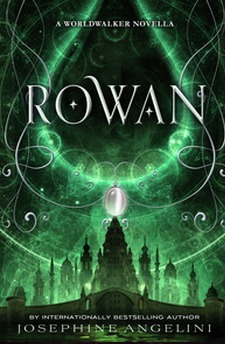 I knew things were going to get tough for her between her and Rowan and while I wasn't wrong they didn't get as bad as I thought and I feel like the author is doing an amazing job at keeping the teenage angst at bay. I for one appreciate this. I am not sure what will become of a certain distraction, but I am hoping for the best since Ms. Angelini hasn't let me down yet! I think my biggest surprise is Tristan. If you remember my previous review I couldn't stand him at all. He was the supposed first love for Lily and he treated her like garbage. While I still don't forgive him I do actually love him! He definitely stepped up was there for Lily when she needed him the most. He explains himself and again I can't forgive him, but I can understand his side a little and they are young so forever is a long time when you are young. He does regret what he did and knows certain events happened because of his carelessness. I can't be mad at him anymore. I have to say this takes a strong writer to make my hate of a character turn into love. Brilliant job Josephine! I have to mention the flashbacks with Lillian. I don't know exactly why, but I have been intrigued with her from the get go and seeing through her eyes has just made me more so. I can't believe what she went through and what she did, but I am feeling my allegiances switch a little and it's a weird feeling for sure. I don't think I have ever switched sides so totally before in a series. I really like how the author is showing us piece be piece what motivated Lillian and making her readers second guess what they thought was the right path. Lillian is still a monster, but maybe she isn't as cold blooded as I originally thought. 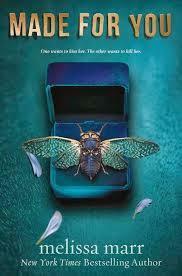 If you loved the first book you will devour this one as well! It has so much in it and like I said I am still amazed even 10 hours later. I am dying for the third in this series and I can guarantee that when I get my hands on it I won't have forgotten one detail if this book. It truly is amazing! Wink is the odd, mysterious neighbor girl, wild red hair and freckles. Poppy is the blond bully and the beautiful, manipulative high school queen bee. Midnight is the sweet, uncertain boy caught between them. Wink. Poppy. Midnight. Two girls. One boy. Three voices that burst onto the page in short, sharp, bewitching chapters, and spiral swiftly and inexorably toward something terrible or tricky or tremendous. What really happened? Someone knows. Someone is lying. 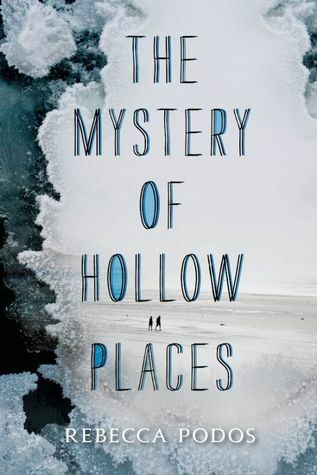 For fans of Holly Black, We Were Liars, and The Raven Boys, this mysterious tale full of intrigue, dread, beauty, and a whiff of something strange will leave you utterly entranced. This book looks like it has my name all over it!! 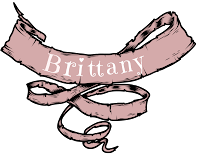 I want to thank Jen @ The Starry Eyed Review for putting it on my radar. Holly Black and The Raven Boys are my best things!! I CANNOT wait and will be stalking Dial for this as soon as possible. Giveaway time! 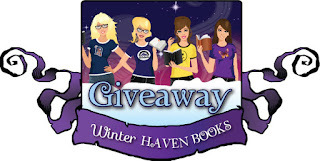 The wonderful people at Sourcebooks are giving away 2 complete sets of the Scorched trilogy! Fill out the form below to enter! 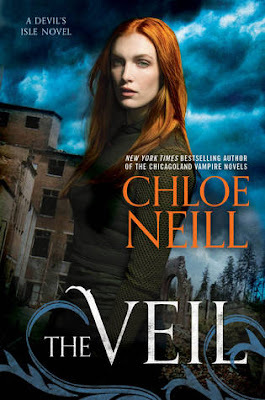 I haven't not read any of Chloe Neill's books before but this was really enjoyable for my first one. 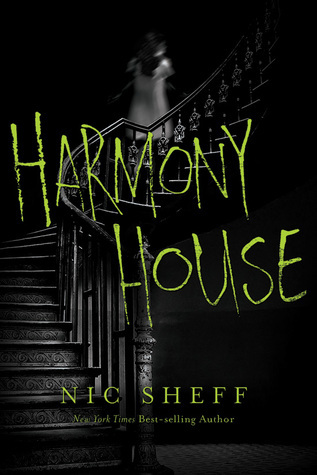 She has an awesome take on the city of New Orleans and also on "Paras" or paranormals. This was probably one of my favorite Urban Fantasies I have ever read. This story follows Claire Connolly, a teenage girl who is alone in a war torn world. A world ripped apart when Para's made it through the veil. Even though the Veil is now patched up, things are extremely desperate as humans fear for their lives. The government tried to contain all those with any magic to Devil's Isle whether they are harmful or not. This is Claire's worst fear. Since she is a sensitive, she is in constant fear of discovery. 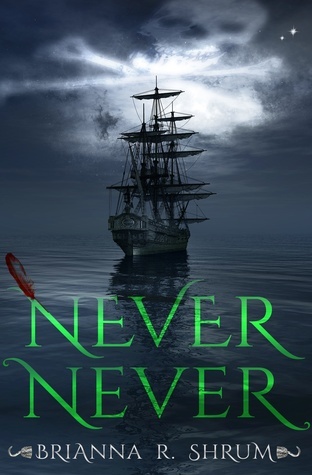 When a chance encounter tests her morality to the limits Claire makes a choice that catapults her onto path she never would have taken herself but is exactly where she needed to go. If she uses her magic to much and doesn't control it, it will devour her and she will became a wraith! I Thought the descriptions of the Paranormals were quite interesting just as I was intrigued by the way the magic worked in this story. Even though the story starts extremely slow once the setting and characters are established the pace picks up a nicely. This became a fairly quick read for me since I couldn't wait to see what happened next. I actually couldn't resist the tension between claire and Liam, a man who works for the government but also has a heart of gold. He doesn't want to see Claire become a wraith and after witnessing her save the girl's life he knows she is something special. I loved the fact that weren't all over each other from the jump. This is going to be the slow smoldering type of romance. They are both smart and not letting their emotions get in the way of their thinking...yet anyway. The setting was also a perfect choice. New Orleans is such a unique place. There is just a different vibe there. My father lived close for a few years and everytime I went to visit I could totally see how it was the birthplace of so much legend and lore. The way Neill incorporates the city into this story is perfection. 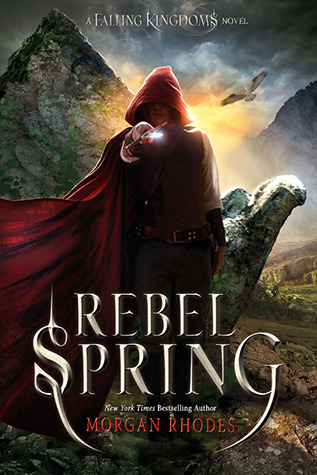 Overall, this was strong first story in an Urban Fantasy series I will be sure to continue! Quote: "Something large and happy has unfolded in my chest, erupting in a smile that won’t quit. I can’t remember ever feeling so light-hearted. Or is my heart full? Or bursting? Not aching, that’s for sure." Wow! Have I ever wanted to tackle hug a protag! I have to say hands down Dan from Six Impossible Things has hijacked my heart! 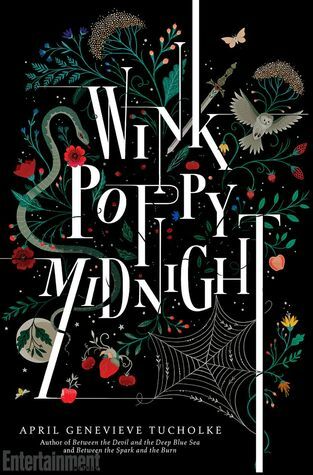 It’s not too often we get the luxury of reading a YA Contemporary in a guy’s POV, and this book is a perfect example of how awesome they can be. This story pulled at my heart strings tighter and tighter after every chapter and by the time it was ending, I knew I was going to have a hard time letting go. In this story, we meet Dan Cereill and he’s having a tough time coping with life seeing as his family has lost their fortune; he’s having to move to a new house and a new school; deal with a mom that’s managing a failing wedding cake business; and coming to grips with a dad that’s not only left the family, but just revealed he’s gay. It seems like asking for one life changing event at a time seems to be too much. But in the mist of crisis, Dan has narrowed down his efforts to accomplishing six things to turn his life around… How impossible can that be? 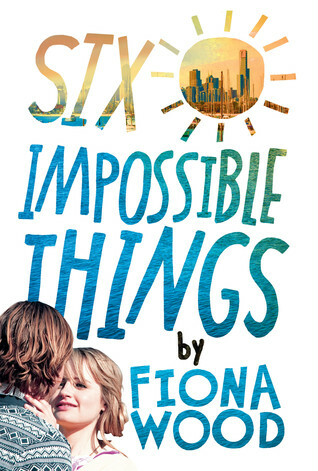 Six Impossible Things is filled with great characters, witty narrative, heartfelt moments, and worthy life lessons. This is a story about first love, humiliation, struggle and ultimate self discovery that does nothing short of reminding you how quickly life changes, but how great it can become. What else would you expect from an Aussie book? Nothing but shear perfection! I loved this entire cast of characters and Fiona Wood has made me an instant fan. Perfect one-sitting read that shouldn’t be missed. "There’s this sky I like…"
"I love you big time…"
Where most second installments suffer from middle book syndrome, The Rose Society carries no such affliction. 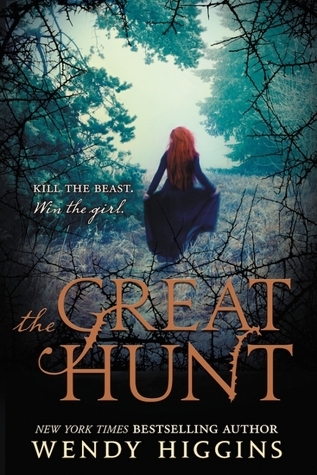 This book is a perfect blend of intrigue, dark fantasy and rival forces that have the reader sitting at the edge of their seat! 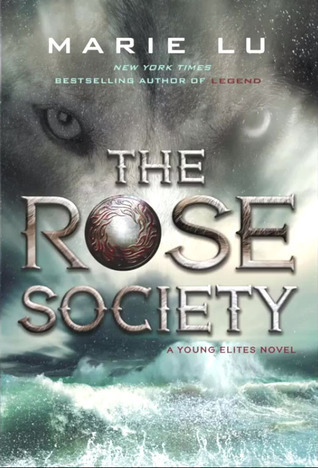 The Rose Society picks up immediately where The Young Elites left off. 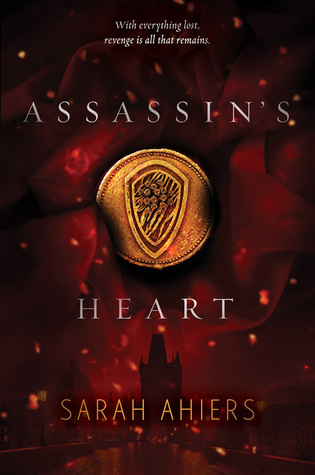 Adelina is on her own after the death of Enzo has the Dagger Society turning their backs on her, and Teren the leader of the Inquisition wanting her dead. 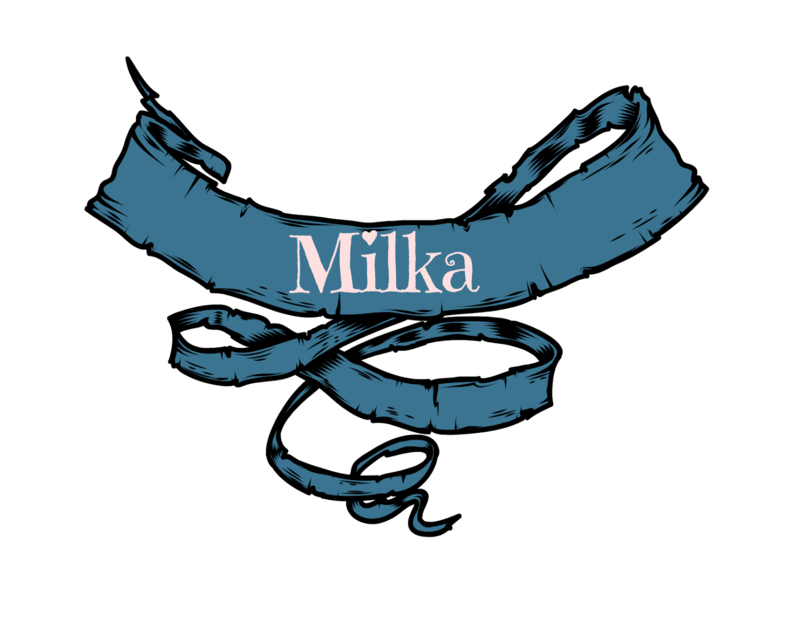 As she gathers a small force including her sister Violetta, Sergio and Magiano, they use their powers to overthrow the existing rulers that seek to destroy the malfettos. Throughout the book, you see how Adelina’s power is fueled by hate and fear. However, as her powers become stronger and out of her control, we see a more sinister side of Adelina than ever before. Now known as the White Wolf, Adelina doesn’t hesitate to destroy or kill anyone in her way, which is both heartbreaking and emotional because we lose a part of Adelina's humanity as she rises to power. 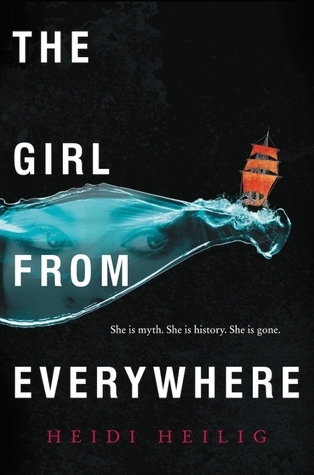 Adelina has become one of the more darker characters Marie Lu has ever written, and she nailed it!! I can't wait for the next installment... What does Lu have up her sleeve??? My guess... Explosive excellence. 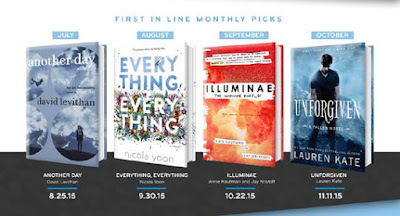 ARC edition of The Rose Society by Marie Lu! Simply fill out the rafflecopter and share with us a dark fantasy you've enjoyed in the past. 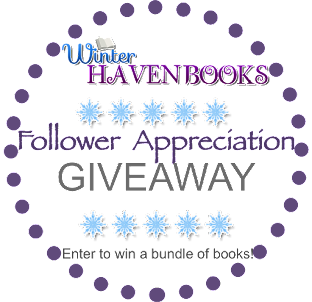 This giveaway is open to U.S. Residents only.